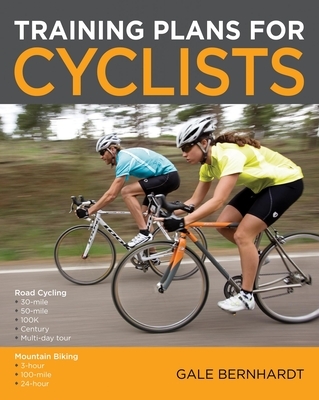 This collection of 16 cycling plans from world-class cycling coach Gale Bernhardt is sure to prepare cycling enthusiasts and first-time riders alike for their biggest and best rides. Detailed training plans work toward goals and events that range from 30 to 100 miles for road and mountain bike cyclists. Gale Bernhardt has coached and instructed athletes since 1974. An elite-certified USA Cycling Level I Coach, she has also served as the Chairperson of the USA Triathlon National Coaching Committee for five years. Bernhardt was selected to be the USA Triathlon team coach at the 2004 Olympic Games and has traveled the world as a USA Triathlon World Cup coach. Bernhardt is the bestselling author of "Bicycling for Women," "Training Plans for Multisport Athletes, Triathlon Training Basics, " and "Workouts in a Binder(R) Swim Workouts for Triathletes."